Watch out, North West and Blue Ivy — a new celebrity baby has been born, and this one might just end up being my favorite. 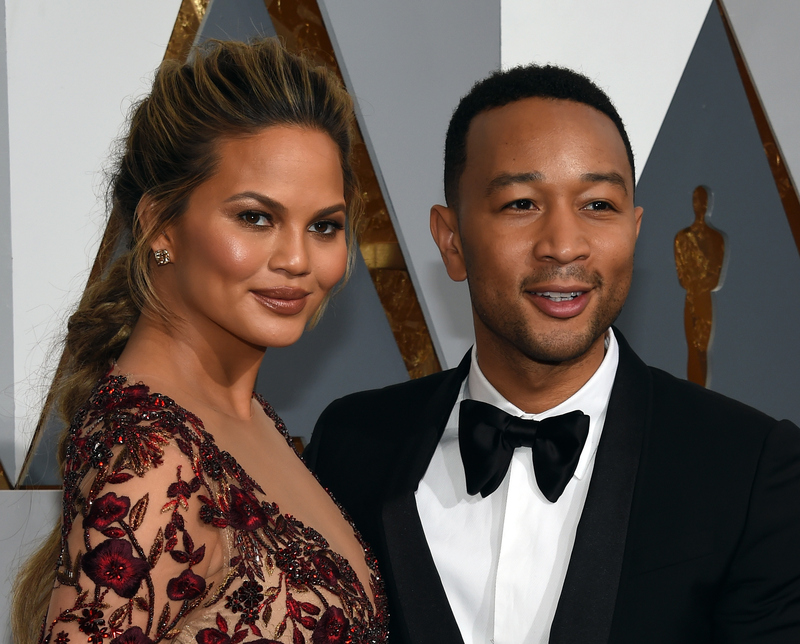 Over the weekend, John Legend and Chrissy Teigen welcomed their first child, a baby girl with a pretty unusual name: Luna Simone Stephens. Of course, I'm bummed that Teigen's entertaining pregnancy tweets have come to an end, but I'm excited for the inevitably adorable baby Instagram posts that are to come. And now that she's here, I have a few questions about their little one... especially her name, and number one on my list is: Why did Teigen and Legend name their baby Luna Simone? Unfortunately, there isn't an answer to that question quite yet, and I'm assuming it's because the newly minted parents are a little busy spending time with their baby. But I definitely don't doubt that Teigen and Legend put plenty of thought into their decision, and it seems like it isn't one they came to easily. According to what Legend told E! News back in January, they'd been keeping a running list of potential names and changed their minds practically every day. Then, during an appearance on The Late Show With Stephen Colbert in March, Teigen said President Obama had approved of her baby name choice, even though Legend thought it was "too Hollywood" — that would probably apply to Luna, since it's a pretty unique name. Maybe that's the one she was talking about then? And since Legend and Teigen have yet to share the story of how they chose the name — and it doesn't seem like either name is tied to their families — I can only make a few educated guesses. Maybe they're secretly huge Harry Potter fans? Maybe they like taking moonlit strolls? Or maybe it has something to do with the names' meanings themselves? According to NameBerry, Luna is the name of the Roman goddess of the moon, while Simone is a French feminization of Simon, which means "the listener." There's definitely a lot of meaning and power behind this name, even if Luna's parents just chose her name because it was the one they liked the best. But even though we don't have a definitive answer to this question now, I have a feeling one is on the way. After all, Teigen has said that she doesn't plan to hold back when it comes to sharing her photos and thoughts about her baby girl, and I can't wait to see Luna's parents gushing about her. Don't worry, Teigen and Legend — you definitely won't be the only ones.